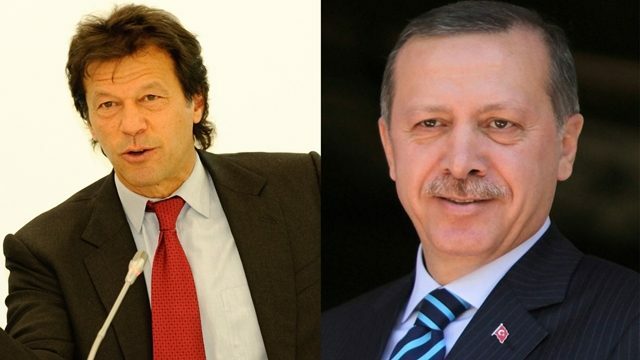 Turkish President Recep Tayyip Erdogan telephoned Pakistan Tehreek-e-Insaf chairman Imran Khan on Tuesday and congratulated him on victory in general elections. The Turkish president expressed well wishes for upcoming democratic government in Pakistan during his telephonic conversation with Imran Khan. Both leaders agreed to start new relation era between the two brotherly Islamic countries.